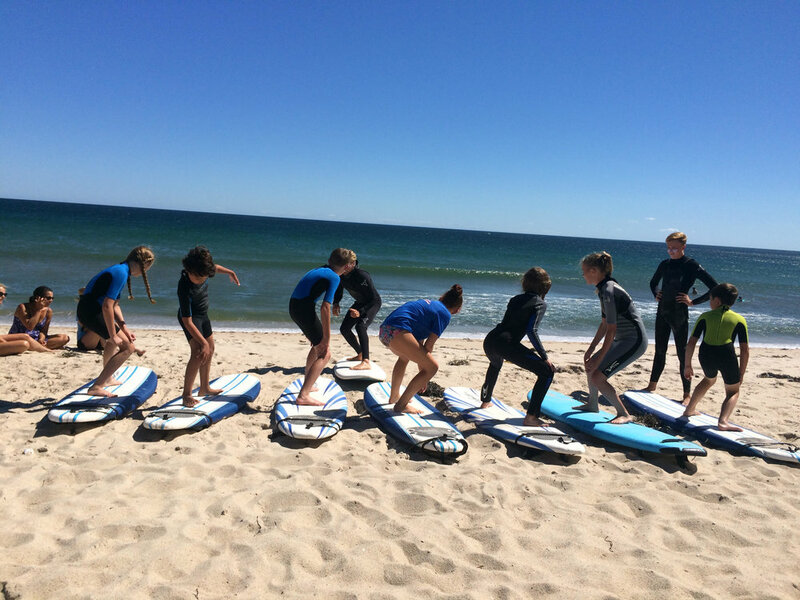 A year-round surf school in the Hamptons, led by professional surfer Kurt Rist and his trained team of instructors. Register for summer 2019! Hamptons surf co runs from late june to late august! Learn about this unique opportunity to learn from pro surfers this summer! We have pro surfers offering daily surf lessons of one person or small groups. If you're looking to find things to do in the Hamptons, this is it! To them it was seen as an art, with a high spiritual affiliation. We respect the ocean and it's rhythms, and we teach all of our students to do the same. Surfing is a great way to be in sync with nature. The natural speed of riding a wave is a one of a kind "rush." While having fun with your friends in the sun and waves, you are also strengthening your body, mind and spirit. You'll never forget your first wave. The Hamptons Surf Co. team is CPR and first aid certified, with one or more lifeguards on duty at all times. Every student learns how to identify unsafe surfing or swimming conditions, and develop the important safety precautions that are necessary in preventing any danger in the water. Hamptons Surf Co. is led by professional athletes, which makes us unique. Whether its your first surf session on a 1ft wave or your first tube ride on a 5ft wave, we can accelerate you through your incredible journey of surfing in the funnest and safest manner possible. Founded by INSTRUCTOR & professional BIG WAVE SURFER, KURt RISt. I caught my first wave back in 1992, when I was just 7 years old, in Shinnecock Inlet in Southampton... passion #1. When I was 16 I started teaching people to surf and connect with the ocean on a deeper level... passion #2. The ocean is my home, and when I'm not teaching, I'm out there looking for the biggest waves in the world. Kurt and Jamie are from Southampton, NY, which gives them a deep understanding of local surf, and the best beaches for instruction. emphasize the training of all of the other surf instructors. Their goal is to create a real space for growth and progress in the sea. There are more than 10 other well trained surf instructors. and our team on some epic waves around the world. on the winter surf camp and other happenings at Hamptons Surf Co.
Friends of the Hamptons Surf Co.